How to Pay Off Your Mortgage in Less than 10 Years? I recently read a book called the Smith Manoeuvre by the late Fraser Smith, a financial planner, written in 2002. Just a disclaimer, I am in no way affiliated with Fraser Smith or have anything to gain by helping sell his book, but I feel it’s my duty to report to you that this book is a complete game changer! I learned how I could pay off my mortgage in just under 6 years, when I currently still have 25 years remaining on my amortization. Now lets us talk about this powerful financial strategy a bit more. To summarize, the Smith Manoeuvre is a system that gradually helps restructure the non tax-deductible mortgage in your principal residence into a tax-deductible investment loan where you pay simple interest. Additionally, you will receive annual tax refunds on your investment loan, reduce years off your mortgage, and thus increase your net worth! Now, you maybe asking…“Is this legit…?” Thankfully, I am happy to report, it IS!! All techniques that’s mentioned in the book are legal and have been reviewed by the CRA. So now, how does this Smith Manoeuvre really work? Here are the steps listed in the book, which assists in converting your non tax-deductible mortgage interest into tax-deductible debt. In order to take full advantage of the Smith Manoeuvre, you will need to have a principal residence with a mortgage. Step 1) Obtain a re-advanceable mortgage from a reputable financial institution: A re-advanceable mortgage is different from a traditional mortgage as it’s a mortgage with a home equity line of credit all in one product. When you pay down your mortgage, the principal portion that you pay down simultaneously increases the credit limit on the HELOC. To give you an idea of how that’s done, my current mortgage is with TD Bank with over years left on my term. The penalty is about $2400 to break this mortgage (3 months interest), and I will be switching to Manual Life 1 or RBC, which are two financial institutions I know that provides re-advanceable mortgages. Step 2) Use the funds in the HELOC to invest: Withdraw the HELOC portion of your mortgage to invest in investment properties, or any type of investments like stocks or bonds. If you already own investment property(s) in your personal name (not in a corporation), the HELOC would be used each month to pay all your monthly expenses while all rental income is applied towards the principal pay-down each month on your principle residence mortgage. Be careful here, as you must pay dollar for dollar for your expenses. Talk to your accountant to help you with this as if it’s not done correctly here, you may disqualify your ability to claim expenses on your HELOC. Remember again that your HELOC limit will increase with each regular mortgage payment paid, which in turn allows you to invest the newly available money in your HELOC. This in accounting terms is called “Cash-damming”. Step 3) Deduct interest paid on your HELOC when filing your taxes: When you are filing your tax return every year in March, deduct the annual paid interest amount from your HELOC. This should result in a tax refund based on your marginal tax rate. Step 4) Re-invest the interest from the tax refund: Apply the tax return and the investment income (dividends, interests, etc.) against your non tax-deductible mortgage and invest the new HELOC money available. 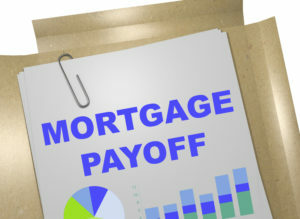 Step 5) Repeat Steps 2 to 4 until your non tax-deductible mortgage is paid off! This doesn’t sound super-complicated, right? Keep in mind that the Smith Manoeuvre does not happen overnight; it requires years to achieve. 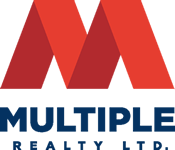 What’s the Best Area to Purchase An Investment Property? Are we finally entering a Buyer’s market?